Diabetes is common and increasing. The major complications of diabetes are vascular and neurologic. Vascular complications can be classified as large vessel and small vessel. Large vessel damage can involve the major blood vessels in the heart and extremities. Small vessel damage can involve the eyes, the kidneys, the brain and lead to peripheral neuropathy. Magnetic fields improve circulation in all blood vessels including those with diabetic damage. One of my most dramatic situations was a patient who had dark purple legs from the knees down showing almost complete blockage of the blood vessels in his legs. His vascular surgeon was recommending amputations of both of his legs due to the severity of the problem. I was concerned that he was too far gone. But his family convinced me to try anyway. 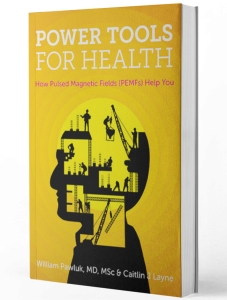 So, I started PEMF magnetic field therapy, diet and supplements. Over 3 months of daily treatments with the PEMF system his surgeon finally said to him I guess you don’t need amputations after all! THANK YOU PEMFs! I have another patient who is at risk of having his foot amputated due to small vessel disease causing breakdown of the bones in his foot. He had a draining wound in sole of his foot with major swelling of the whole foot. He was in a wound care program for over a year with little benefit. He started daily magnetic field therapy with a portable PEMF system and within one month he had dramatic reduction in the swelling and discomfort and healing of the wound. Two years later he has still not needed an amputation with continuing daily PEMF stimulation. In addition to circulation problems, there is some other research that shows that magnetic field stimulation of the pancreas may actually help to increase insulin production and decrease blood sugar levels with daily use. This would be especially helpful in later stage type II diabetes, possibly allowing these diabetics to reduce or stop their medications. For the best results most diabetics will need moderate intensity whole body PEMF treatment daily in the home setting.